Reading time: about 19 minutes. The Toyota Hilux pickup truck has become one of the most iconic vehicles to ever emerge from Japanese vehicle maker Toyota. The Hilux, known as the Pickup or Pickup Truck in the US market, has the distinction of having been to both North and South Poles and while on a North Pole journey for Top Gear went to the top of Eyjafjallajökull, the “unpronounceable mountain” in Iceland. The Hilux has competed in such motorsport events as the Dakar Rally with a significant measure of success. Not only that but the Hilux proved to be so ruggedly dependable that it even had a war named after it; the Chadian-Libyan war of 1987 became colloquially known as the “Toyota War” because the Hilux became the transport of choice for combatants of both sides. In fact the Toyota Hilux has even been referred to as the vehicle equivalent of Mikhail Kalashnikov‘s AK47 military rifle. Those things have been helpful in building the Hilux’s public image as a reliable and near indestructible vehicle: but the real strength of the Hilux, the thing that has made it a best seller for decades, has been its reputation for excellence in quality control and dependability with owners. When someone is going to go and buy a truck for work or play they are not likely to put much stock in what the advertising says, nor in what a salesman says. The thing that decides a potential buyer of a Hilux is what ordinary owners have to say about it: it has been those word of mouth recommendations that have ensured the Toyota Hilux has held its ground as a best selling utility vehicle over five decades of production. 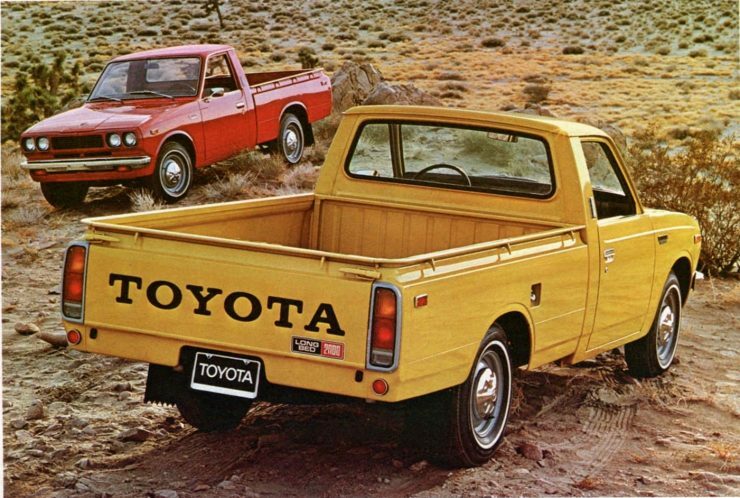 The Toyota Hilux came from humble beginnings as an inconspicuous little utility truck not made by Toyota at all. It began life as a small truck made by Japanese vehicle maker Hino, and it was originally called the Hino Briska. 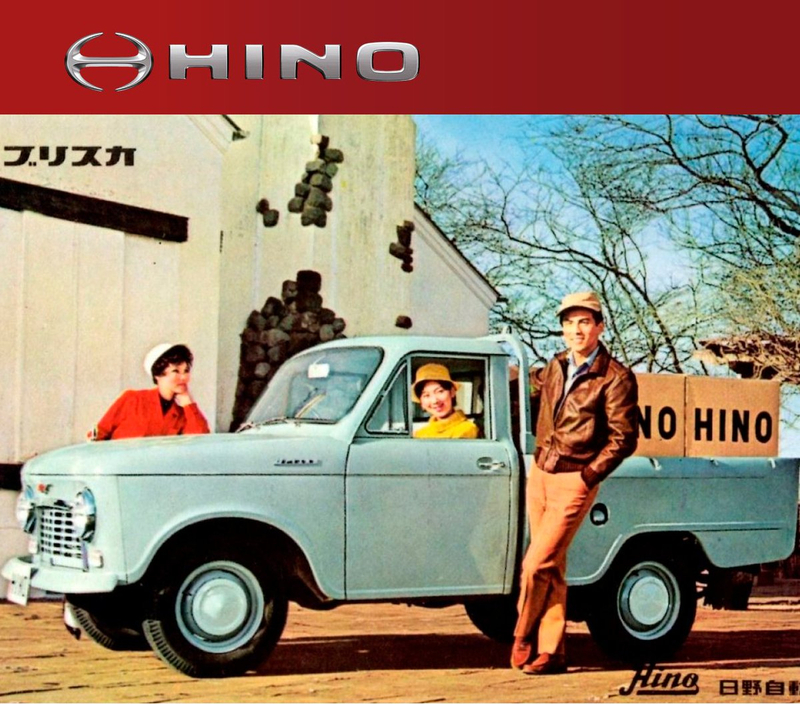 Back in the 1960’s Hino were making both commercial vehicles and passenger cars based on the French Renault 4CV. The Hino passenger car was the Hino Contessa and it featured the same rear engine and rear wheel drive layout of its Renault 4CV parent, while the Hino Briska pick-up truck used some of the same components but laid out in a conventional front engine rear wheel drive arrangement. 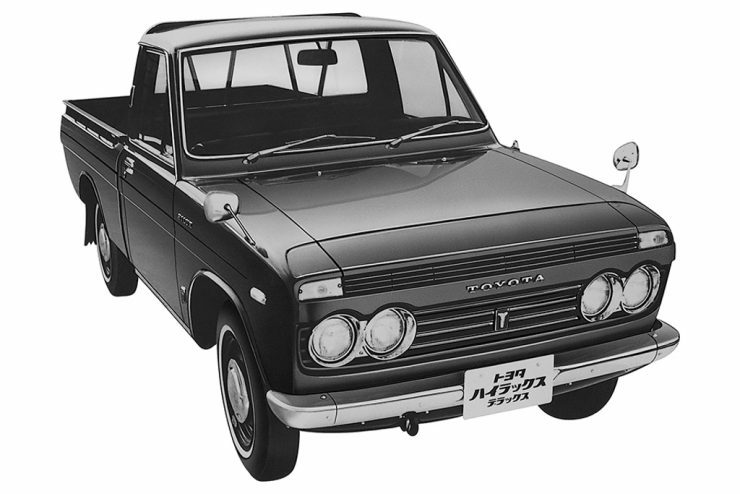 During the 1960’s Toyota and Hino entered into discussions with a view to working together on the Briska light truck. 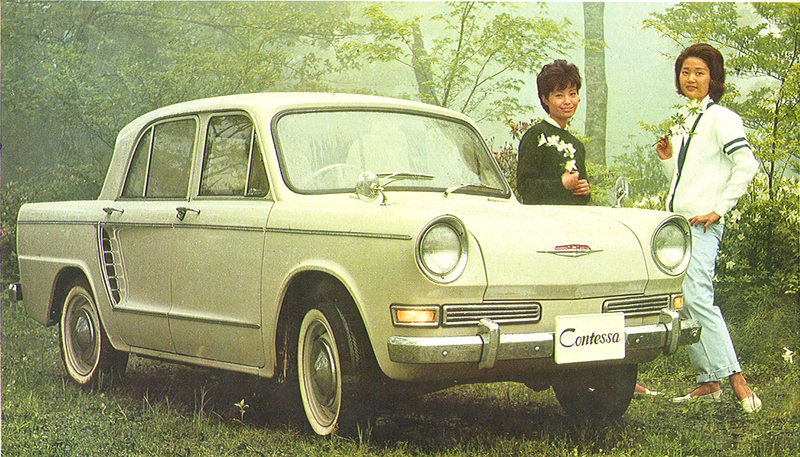 Toyota made some suggestions as to ways the Briska could be improved and by 1967 the two companies had made an agreement for Hino to manufacture the Briska as the Toyota Briska. This version of the Briska was the Hino FH series that was given the Toyota model code GY10. The newly minted “Toyota” Briska arrived in Toyota dealerships in early 1968 and it boasted twin headlights and a 1,251 cc in-line four cylinder engine delivering 62 bhp, which was slightly uprated from the original Hino specification. It would not be sold for long however as it was to be replaced by the first of the Toyota Hilux models. The first generation of the Toyota Hilux entered production in March 1968 and was an improved version of the Briska, engineered and manufactured by Hino. The model designation was the RN10 and the new Hilux boasted a 2R 1.5 liter (1,490 cc) in-line four cylinder engine producing 76 hp. That engine was mated to a four speed manual gearbox which used a column mounted gear lever. 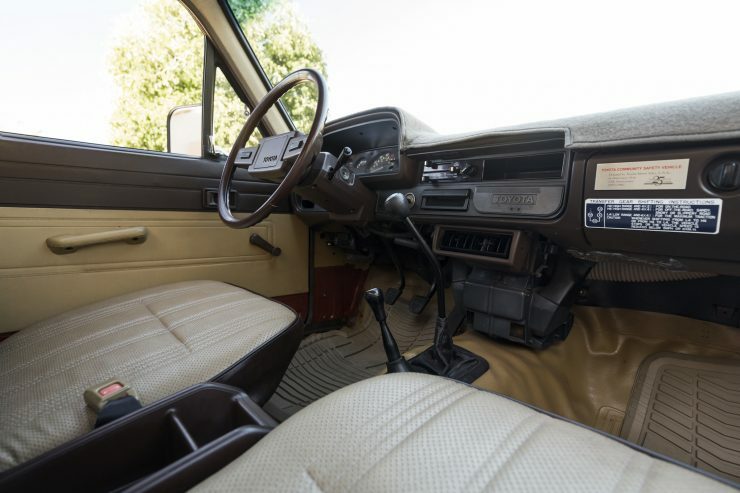 Back in the 1960’s the column mounted gear shift was very common and in a commercial or utility vehicle it made perfect sense as it allowed the use of a front bench seat that could accommodate three people. The suspension of the Hilux was kept conventional with a design that would be familiar to the sort of customers Toyota was aiming the vehicle at. These customers would expect to be able to maintain and repair their vehicle themselves so the front suspension was a double “A” arms arrangement using coil springs and telescopic shock absorbers, while at the rear was a live axle using tried and proven leaf springs. In April of 1969 a long wheelbase Hilux with a 7.4′ (2.25 meter) load bed was added to the short wheelbase model line-up for international markets, but not for North America, and then in February 1971 the engine was increased in capacity to the 12R 1.6 liter (1,587 cc) delivering 89 hp @ 5,400 rpm (SAE). North American market Hilux were treated to different engines than for global markets. For 1969 the North American Toyota Hilux was fitted with a 3R 1.9 liter (1,897 cc) in-line four cylinder producing 84 hp. This was changed in 1970 to a SOHC in-line four cylinder producing a quite sporty 97 hp, and in 1972 the vehicle was fitted with an 18R 2.0 liter (1,968 cc) SOHC in-line four producing and even sportier 109 hp: not quite enough for a foray at the local drag strip but enough to give it sufficient grunt to manage the loads being heaped upon it. One effect of the introduction of the Hilux was to enable Toyota to phase out their existing Crown and Corona based pickups/utilities. During this period Toyota reasoned that they wanted the names Crown and Corona associated with passenger cars, not commercial vehicles. In the 1960’s many manufacturers of affordable passenger cars made utility and panel van versions: by contrast makers of more up-market passenger cars did not. 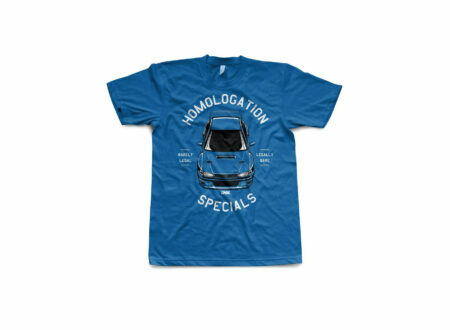 Toyota were strategically maneuvering to raise the prestige of their passenger car names. 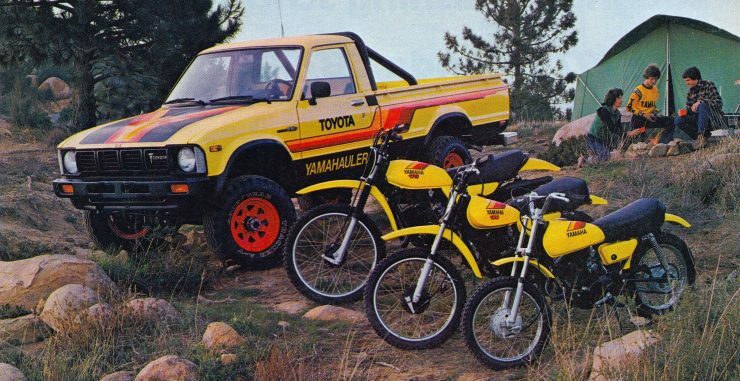 Despite being named “Hilux”, which was short for “High Luxury”, the Toyota Hilux did not actually live up to that name. 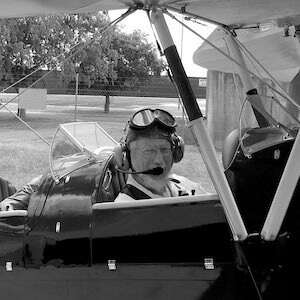 It may have been a little bit more comfortable than a military Land Rover, but it was by no means luxurious. For the second generation of the Hilux Toyota decided to give the little utilitarian truck more comfort. The long wheelbase version was made available in the North American market with the introduction of this second generation series. The short wheelbase models were the RN20 and RN22, while the long wheelbase versions were the RN25 and RN27. For the first series of these second generation Hilux the engines for international markets were the 12R 1.6 liter (1,587 cc) four cylinder engine producing 89 hp @ 5,400 rpm, or, from 1973, the 18R 2.0 liter (1,968 cc) four cylinder engine producing 105 hp @ 5,000 rpm with torque of 107 lb/ft @ 3,600 rpm. For North American markets the engines were the 18R 2.0 liter (1,968 cc) SOHC in-line four producing 109 hp from 1973, and the 20R 2.2 liter (2,189 cc) emissions controlled four cylinder producing 97 hp from 1975. Available transmissions for the Hilux were expanded from the standard all synchromesh four speed manual to provide an optional 5 speed manual or three speed automatic. Not only were there more transmission options but buyers could opt for either column or floor shift gear-levers. The column shift fitted vehicles continued to be fitted with a front bench seat while the floor shift models featured individual front seats. The second generation Hilux was not only made to go however but also to stop efficiently. It was not only fitted with servo assisted brakes but dual circuit brakes with load-sensing proportioning valves to make braking more efficient regardless of the load being carried. 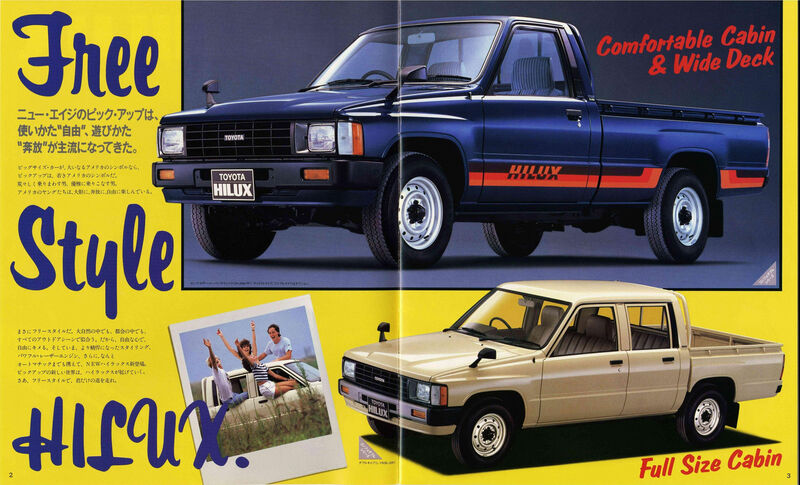 The name “Hilux” was not used in all markets. 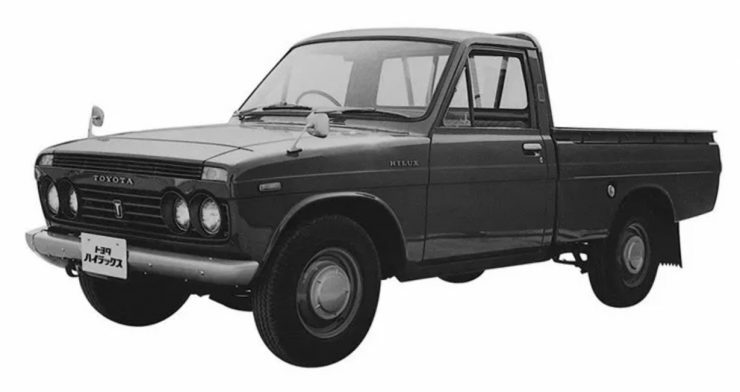 In the United States the main competitor for the Toyota was the Datsun Truck which was well established in the market by the time the Hino made Toyota arrived. For this reason Toyota elected to change the name of the North American version of the Hilux to the Toyota Truck or Pickup Truck. Toyota began phasing out the “Hilux” name for North America in 1973 and completed the change in 1975. The third generation Hilux appeared in 1978 with model designations N30 and N40, at that time still only a front engine rear drive truck, but in 1979 that would change with the introduction of the four-wheel-drive version. In the four-wheel-drive version the front independent suspension was replaced with a live axle and leaf springs, much like one might find on a Series Land Rover, but the Toyota Hilux had a little “Easter Egg” hiding under the floor in the form of a gear driven RF1A transfer case which could have additional transfer cases installed creating a dual or even triple transfer case arrangement with extremely low gearing. Thus fitted the Hilux could quite literally “climb every mountain” although the journey would be so slow that the driver could get out of the vehicle while it did some climbing all by itself. The third generation Hilux introduced the “crew-cab” dual-cab option so the vehicle not only had a decent load space on the back but also became a quite comfortable five seater four door passenger car. This proved to be a popular body style, especially for rural customers, and nowadays if you are in a rural town in Australia for example you’ll get the impression that every man and his dog has a dual-cab Hilux. 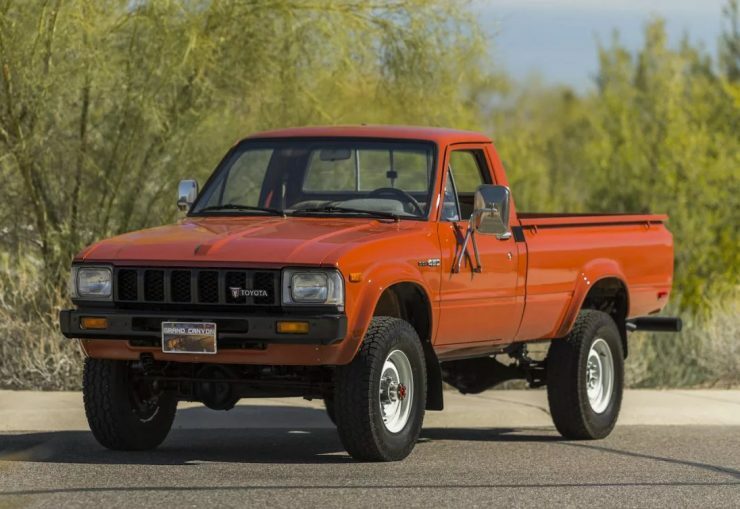 Not only was the crew-cab/dual-cab provided but Toyota entered into a relationship with a number of US camper makers, including Winnebago Industries and Griffith, to make a fiberglass covered section for the rear of the vehicle, making it something like the Ford Bronco or Chevrolet Blazer. In the US these vehicles were marketed as the Trekker, Wolverine and Trailblazer and were the forerunners of the 4Runner and Hilux Surf models. The conventional two-wheel-drive Hilux retained its fully independent front suspension and leaf spring live-axle rear end and saw some restyling, most notably the change from dual to single headlights. Engine choices for the two-wheel-drive Hilux in international markets were the 12R 1.6 liter (1,587 cc) four cylinder or the 18R 2.0 liter (1,968cc) engines as used in the second generation vehicles. The four-wheel-drive Hilux were fitted with the larger 18R 2.0 liter (1,968cc) SOHC engine at minimum. Three other engines were progressively made available for the four-wheel-drive and two-wheel-drive models beginning with the 20R 2.2 liter (2,189 cc) SOHC four cylinder carried over from the second generation model. In 1981 the 22R 2.4 liter (2,366 cc) SOHC four cylinder gasoline engine made its debut producing 97 hp @ 4,800 rpm with 129 lb/ft of torque @ 2,800 rpm. That same year the Hilux received its first diesel engine option, the 2.2 liter four cylinder producing 62 hp @ 4,200 rpm and 93 lb/ft of torque. The standard gearbox remained the four speed all synchromesh manual with the five speed manual and three speed automatic being optional. 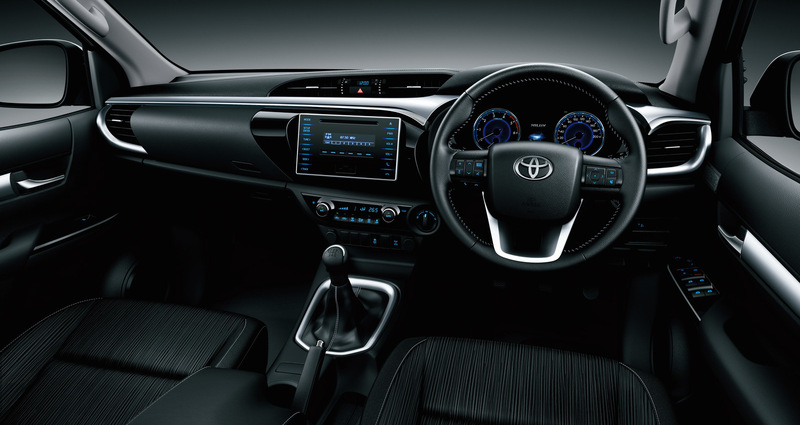 The fourth generation Toyota Hilux was in a position where it was experiencing competition from its Nissan equivalent and so some improvements were made to the interior trim which included full height door trims and a steering wheel that matched the interior color of the vehicle. A new body style, the Xtracab, was introduced which provided an extra six inches of storage space behind the front seat: a perfect and discreet place for fitting in such items as a rifle case or flat tool box. This was to be the Hilux that would co-star in the most memorable movie of the 1980’s, “Back to the Future”. Although the Delorean was the car that was turned into a “time machine with style”, the Xtracab Hilux was Marty McFly’s vehicle which he discovers he owns when he gets back from “good old 1955” to find his family’s future dramatically altered for the better. 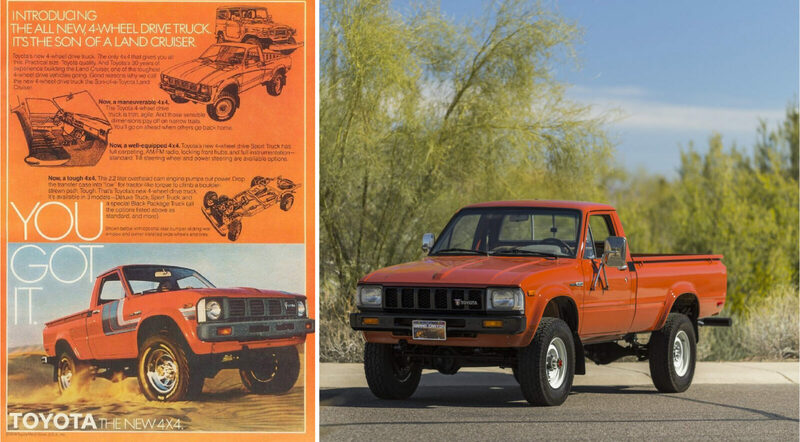 The big improvements were hidden underneath the vehicle, especially the four-wheel-drive version which only kept its leaf-spring beam-axle front set up for the first year of production before being upgraded to the Hi-Trac independent front torsion-bar suspension. Engine options became more extensive; three diesel engines were offered, the 2.2 liter as used in the third generation models, the 2L 2.5 liter (2,446 cc) in-line four cylinder producing 83 hp @ 4,200 rpm with torque of 122 lb/ft @ 2,200 rpm, and a turbocharged version of that engine, the 2L-T producing 93 hp @ 4,000 rpm with torque of 159 lb/ft @ 2,400 rpm. Gasoline/petrol engines included a Y 1.6 liter (1,626 cc) and 3Y 2.0 liter (1,998 cc) emissions controlled units at the small end of the scale, but there were much larger and more powerful engines made available. 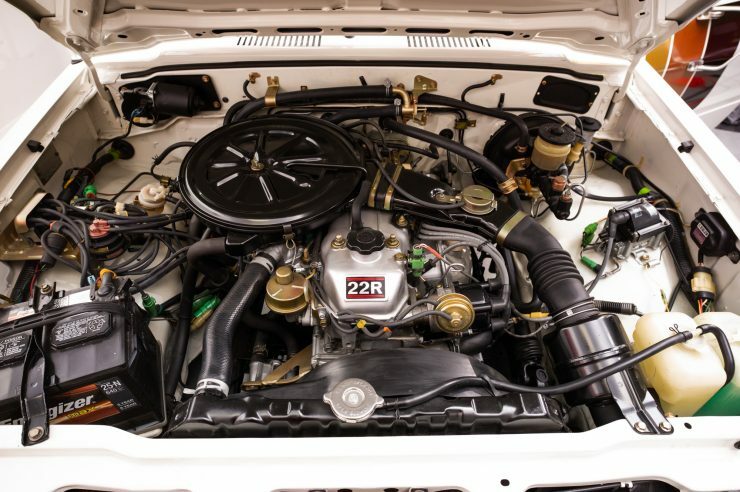 The 22R 2.4 liter SOHC continued over from the previous generation but three new more exciting engines were made available for power hungry Hilux owners. The first of these new engines was the 22R-E, a fuel injected upgrade of the familiar 2.4 liter (2,366 cc) in-line four cylinder producing 105 hp at 4,800 rpm with 136 lb/ft of torque at 2,800 rpm. 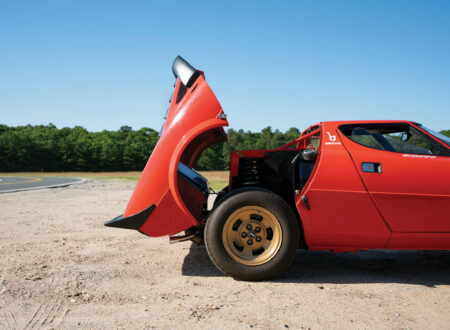 For those wanting a tad more excitement than that a turbocharged version was also provided which jacked the power up to 135 hp and torque to 173 lb/ft. People are always wanting more however, and Nissan had decided to fit a V6 gasoline/petrol engine in their truck, and so Toyota decided to do the same. The new front independent suspension made it viable to install the 3VZ-E 3.0 liter (2,958 cc) V6 with the smooth delivery of 150 hp @ 4,800 rpm and torque of 180 lb/ft @ 2,400 rpm. 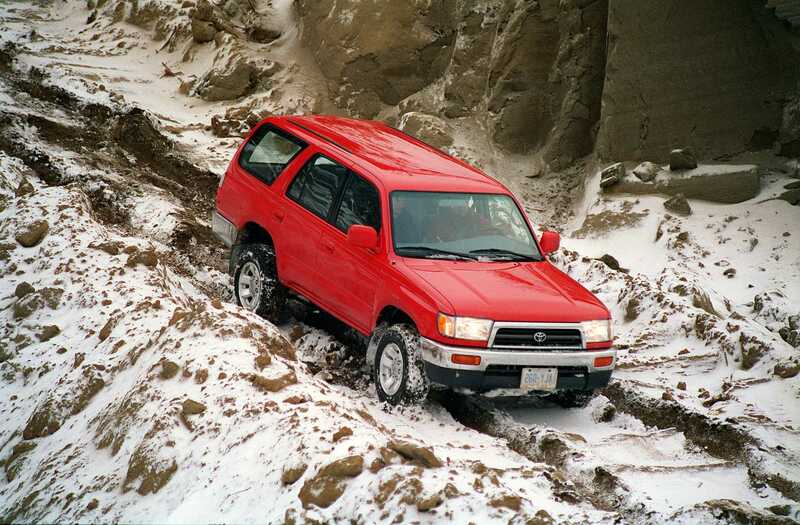 It was during production of the fourth generation Hilux that Toyota introduced the 4Runner model, which was also called the Hilux Surf in some markets. 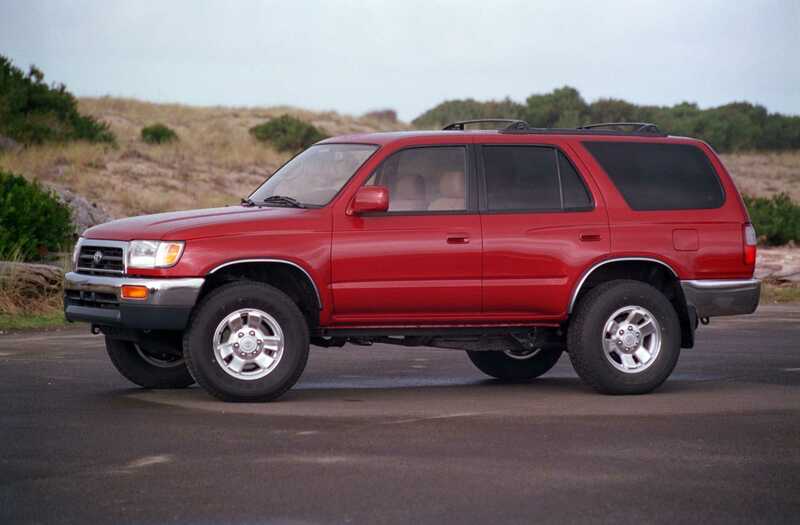 Although based on the Hilux the 4Runner body differed in having no window or wall between the rear of the front seats and the rear compartment, and in having rear seats under an enclosed removable fiberglass top. The 4Runner was introduced in 1983 and made in a base version and an SR5 upgraded trim version with more comprehensive instrumentation and more upmarket interior trim. It was a 1988 model Hilux that was obtained by Jeremy Clarkson and the Top Gear team who had decided to give full vent to their passion for loud explosions and spectacular car crashes on that humble Toyota. The Hilux they chose was a diesel which had been nicely run in having 305,775 km (190,000 miles) on the odometer. The Top Gear team were pretty determined that it would not accumulate many more miles on the clock before it arrived at a spectacular expiry date. Jeremy Clarkson started out with some low level destructive antics such as driving the Hilux downstairs, something it was designed to do, and he then took it on a wild ride accidentally on purpose side-swiping a few buildings, which was the sort of thing that the Hilux could survive quite nicely thank you very much: that’s part of how it came to be called the AK47 of vehicles. Clarkson then crashed it into a tree, which also failed to stop it. The next phase of the destruction derby was to see if it was able to survive a bit of nautical naughtiness. The poor inoffensive Hilux was tethered to a boat mooring at low tide so that when the tide came it in would be under a few tons of salty seawater. The tethers failed to hold the Hilux to its mooring, which was not the Hilux’s fault, and so the tide sucked out its windscreen and it finished up half buried in sea and sand, something that children at the seaside quite enjoy but Toyota Hiluxes probably don’t. Nonetheless the Hilux was hauled out of the briny and the sand cleaned off. The flooded engine surprised many when it was able to be started and the chirpy little Hilux was able to be driven away. Frustrated with the Hilux’s durability Clarkson proceeded to drive the Hilux through the Top Gear office, which was a wooden shed, which of course failed to do it any harm although the shed was a bit the worse for wear. They set fire to it – it stubbornly refused to burn, they dropped a caravan on it – it proved tougher than the caravan, and they hit it with a wrecking ball, which did some harm but failed to wreck it. The final test was to lift the Hilux to the top of a block of flats that was going to be demolished by controlled explosion. When the explosives went bang the building collapsed in a cloud of dust and the Toyota disappeared: but it wasn’t finished yet. A digger was employed to dig the Toyota out of the debris and the mechanic did a bit of wreck-side maintenance with the result that not only did the engine start, but they were actually able to drive the persistent little survivor. 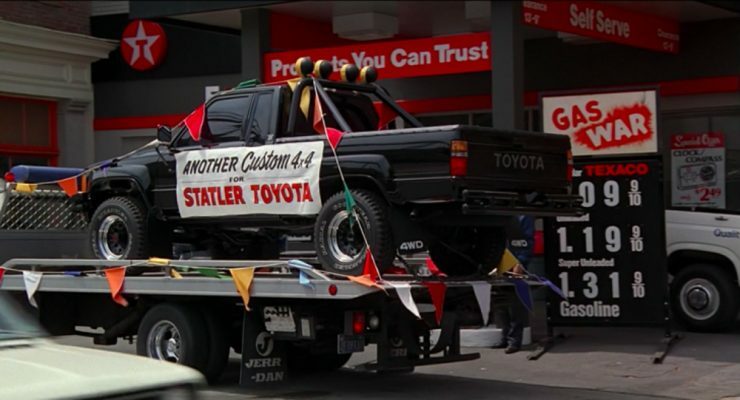 If you had wondered how the Toyota Hilux managed to get a war named after it the Top Gear team provided you with the answer. The fifth generation of the Hilux included the N80, N90, N100 and N110 models. The fifth generation models remained based on the fourth generation but brought in new body styles. The Xtracab was given significantly more space behind the front seats so it could be fitted with rear seats to make it a 2+2, or with enough space for a couple of rifle cases or golf clubs, and a tool box or two. Similarly for load carrying a longer wheelbase model was introduced with a 122″ (3.099 mm) wheelbase in addition to the existing long wheelbase 103″ (2,616 mm) model. 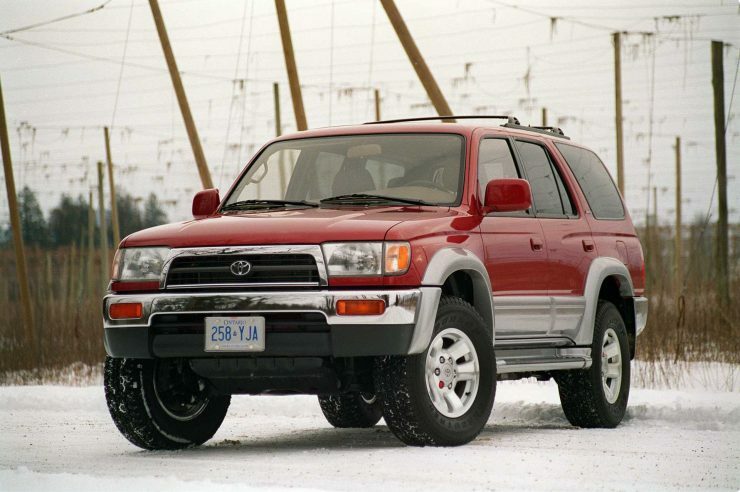 In 1991 Toyota began manufacturing the Hilux at its New United Motor Manufacturing Incorporated plant which it shared in cooperation with General Motors. 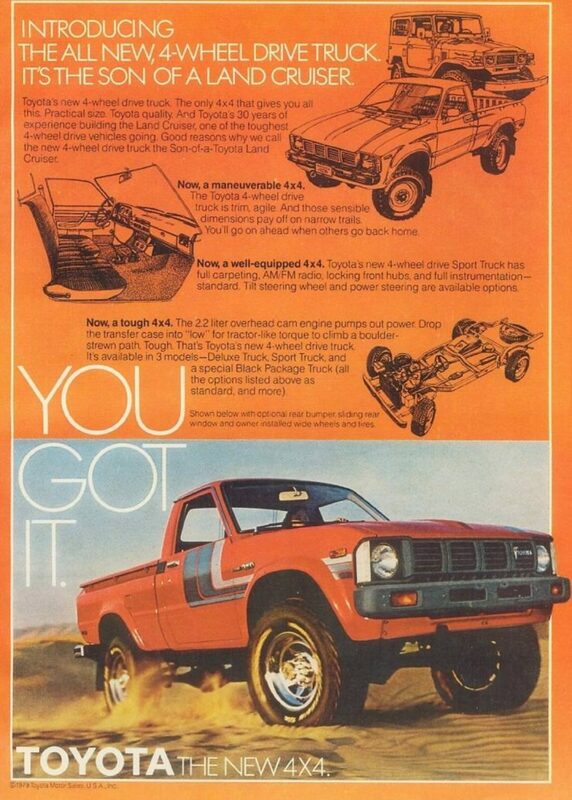 This would continue until the ending of Hilux manufacturing in the US in 1995 and its replacement with the new Tacoma. The fifth generation Hilux was also assembled by Volkswagen in Hanover, Germany, and marketed as the Volkswagen Taro between 1989-1994. This model started out as a two-wheel drive commercial vehicle fitted with a 2.4 liter four cylinder diesel engine producing 82 bhp and torque of 122 lb/ft, but when the four-wheel drive model was introduced in 1994 the 2.4 liter diesel was down in power to 78 bhp with torque of 120 lb/ft @ 2,400 rpm. The two-wheel drive version had a standard cab and the four-wheel-drive an extended cab. 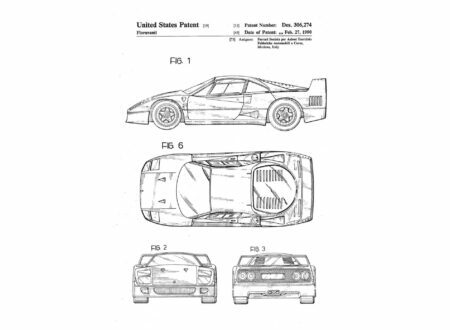 For the vehicles manufactured for other markets the engines for the fifth generation included some old familiar friends and some new faces. Starting with the most petite, the 2Y-U was a 1.8 liter (1,812 cc) inline four cylinder producing a modest 78 hp @ 5,000rpm and 100 lb/ft of torque @ 3,200 rpm: an engine for those for whom frugality at the fuel pump and being in the cheapest licensing category was of prime importance. For some export markets this engine was substituted for the equally petite 2Y inline four cylinder 1.8 liter (1,812 cc) producing 82 hp @ 4,800 rpm with 100 lb/ft torque @ 4,800 rpm. Both these engines were in production from 1988 until 1995. Moving on up from the small engines was the 22R-E 2.4 liter (2.366 cc) SOHC with electronic fuel injection carried over from the fourth generation. This engine produced 113 hp @ 4,600 rpm and torque of 142 lb/ft @ 3,400 rpm: this engine being available from 1989-1997. Next up in size was the also familiar 3VZ-E 3.0 liter V6 producing a healthy 150 hp @ 4,800 rpm. Two diesel engines were offered for the fifth generation Hilux: a 2.4 liter, and a 2.8 liter. The 2.4 liter (2,446 cc) 2L-II was an inline four cylinder producing 89 hp @ 4,200 rpm with torque of 123 lb/ft @ 2,400 rpm. So this was an engine that would produce the same sort of unexciting road performance as the small 1.8 liter gasoline units but which possessed a healthy low down torque so useful when the going gets soft and boggy, or the load is heavy: this engine was fitted from 1989-1997. The other diesel engine that was fitted in some markets was the 3L 2.8 liter (2,779 cc) inline four cylinder which produced 90 hp @ 4,000 rpm and torque of 139 lb/ft @ 2.400 rpm. 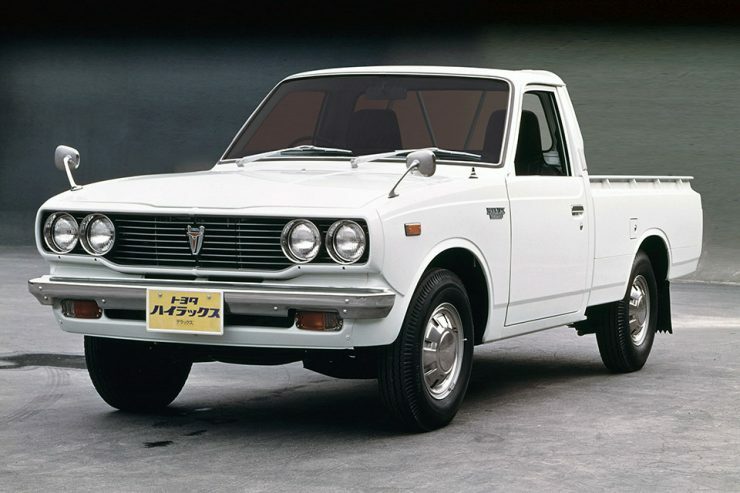 The sixth generation Hilux were the N140, N150, N160, and N170 and would be the last that would be built in Japan, and the last for the Japanese market. 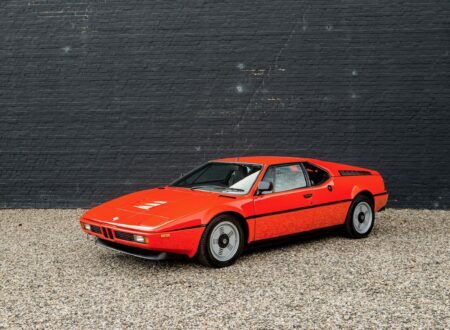 These were still based on the earlier models and although the bodywork was restyled a couple of times and the engines changed, it was a case of “If it ain’t broke then don’t fix it”. With the ever increasing demand for emissions controlled but highly efficient engines this model saw a lot of new power plants dropped into this tried and true survivor. The smallest engine fitted was the IRZ-E 2.0 liter (1,998 cc) SOHC inline four cylinder which was used for the Australian market Hilux Workmate two-wheel-drive models. The next gasoline/petrol engine up from that was the 2RZ-FE 2.4 liter (2,438 cc) inline four cylinder equipped with double-valves (i.e. 16 valves) producing 142 hp. 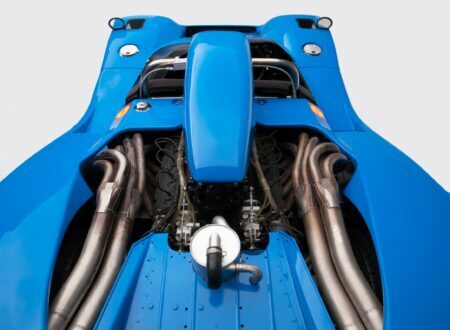 Up from that was the 3RZ-FE 2.7 liter (2,693 cc) inline four double-valve engine producing 150 hp and used exclusively in four-wheel-drive-models. The largest gasoline/petrol engine was the 5VZ-FE 3.4 liter (3,378 cc) double-valve V6 producing 190 hp. Two diesel engines were offered for this generation, the first being the 5L 3.0 liter inline four cylinder producing 97 hp, and the second being the 2L-T 2.4 liter (2,446 cc) turbocharged UK specification engine producing a rather modest 62 hp. By the advent of the seventh generation of the Hilux manufacturing had been moved to Thailand, ensuring that the vehicle continued to be manufactured in the heart of Asia where so many are sold. 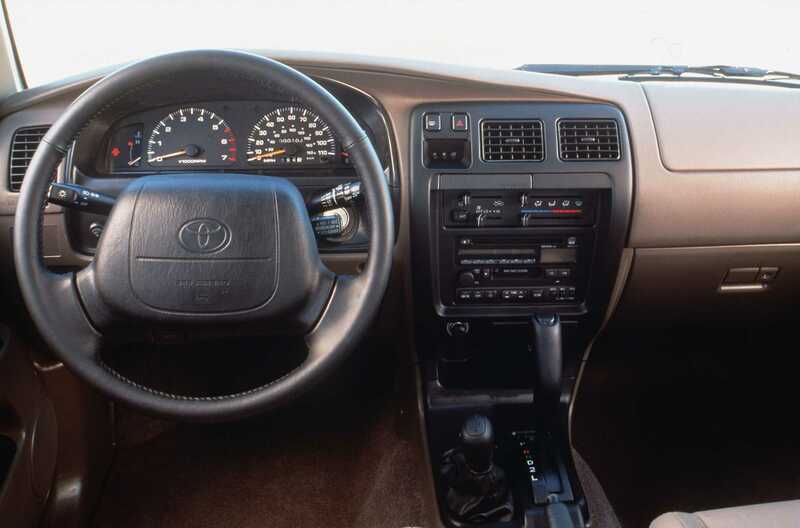 The body style was dramatically modernized, the interior now actually lived up to the “High Luxury” description. The front suspension became even more improved being not only fully independent but now featuring coil springs and telescopic shock absorbers. Under the hood could be found a variety of engines depending on the country in which the vehicle was sold. Notable was the VVT-i 4.0 liter DOHC V6 delivering a nice healthy 236 hp, which was available in Australia, South Africa, Venezuela, and China. Not content with that but the Australians were also treated to a supercharged 302 hp version in the Toyota Racing Development Hilux 4000S and 4000SL models. So finally there was a Hilux that you could take for a bit of an excursion to the local drag strip: you might not win, but you could have a lot of fun trying. The seventh and eight generation Hilux were made in versions ranging from inexpensive work vehicles through to the luxurious SR5 4×4 double-cab, which was more than double the price of its bottom of the line sibling. 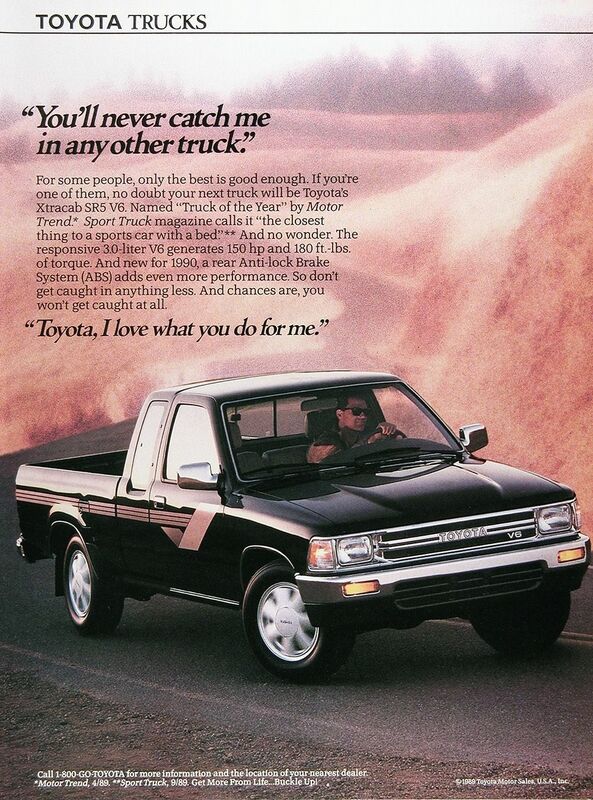 The Toyota Hilux began life as an inexpensive and spartan little work truck made by Hino, and went on to earn itself a reputation as a dependable and affordable vehicle for situations where things were going to get tough, and the Hilux could be depended on to keep right on going. 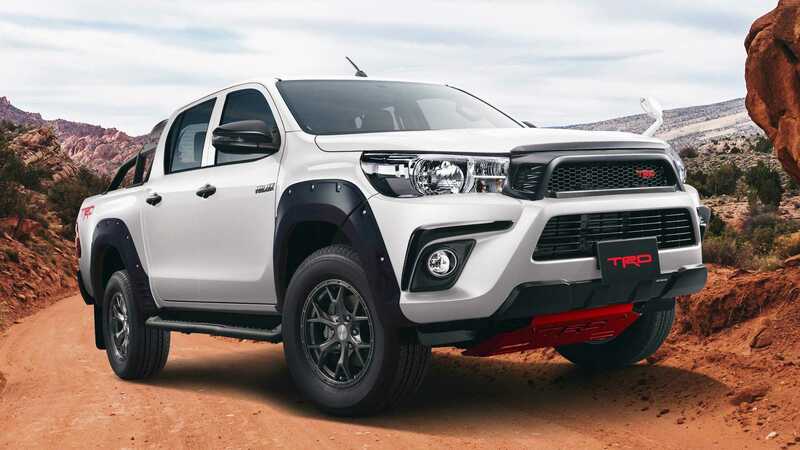 Toyota were able to correctly assess what people were looking for in a practical vehicle and made the Hilux to fulfill those needs despite that requiring coverage of a wide spectrum. The Hilux range expanded cautiously, but wisely, pioneering new concepts and delivering a vehicle that fired people’s imaginations, even up to the 302 hp Hilux 4000S and 4000SL models that would perform so beautifully on the unrestricted roads of Australia’s Northern Territory, where the journeys are often long and the going often tough. The Hilux retains the title of “the car Top Gear could not destroy”. 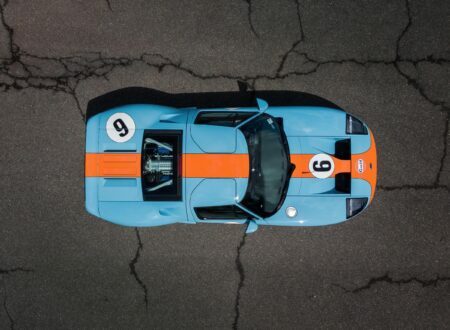 It has made its mark in the annals of automotive history, and is likely to be with us for a few more decades yet. 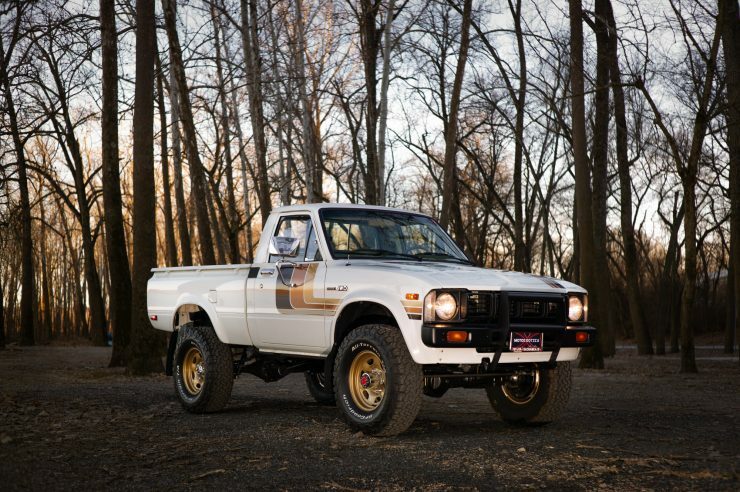 Photo Credits: Toyota, Patrick Ernzen / Mecum Auctions, Universal Pictures, MotoeXotica.